Mavis Cecilia Laing (Brooks), age 96, of Milton passed away November 15, 2018. She was born and raised in Puerto Cortes, Honduras. At an early age, Mavis became a member of the Zion Methodist Church in Puerto Cortes, Honduras. She visited the United States on many occasions and after the passing of her late husband in 1980, she decided to reside in Boston. 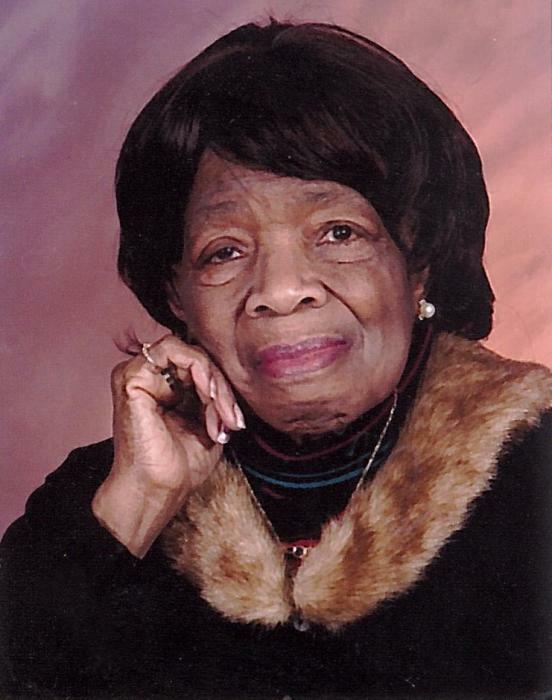 While in Boston, she joined Parkway United Methodist Church in Milton, where she was a member for close to 40 years. An avid traveler, cook, and hostess, Mavis’s real and abiding passions were her family and friends. Mavis sought to instill in her children a zest for life, a commitment to family and friends, and the virtue of a good home cooked meal. Mavis was known for her elegant demeanor, sophisticated social gatherings, love of hymns, and delicious homemade ice cream, pine tarts, and yuca cake, which she loved to make often. She was the beloved wife of the late John E. Laing. Mother of Nancy Daley of Mattapan, Janet Beckford of CA, Sandra Manzanares of Milton, Marco Laing of Honduras, and the late Albert Laing and Marcia Valerio. Sister of Carla Burke of NJ and Otto and Lowell Brooks of FL, and the late Catherine, Myrtle, Murielle, Inez, Ethlen, Scott, Hurdy, Carlton, and Justin Brooks. She is survived by 10 grandchildren, 5 great-grandchildren, a host of nieces, nephews, and extended family. Visiting hours at the Alfred D. Thomas Funeral Home, 326 Granite Ave Milton on Friday, November 23, from 4-7 pm. Funeral Service at the Parkway United Methodist Church, Milton on Saturday, November 24, at 10am. Burial at Cedar Grove Cemetery. In lieu of flowers, donations may be made in her memory to the Parkway United Methodist Church, 158 Blue Hills Parkway, Milton, MA 02186.